What's dated, expensive, and launching with Apple's iPad this Saturday? 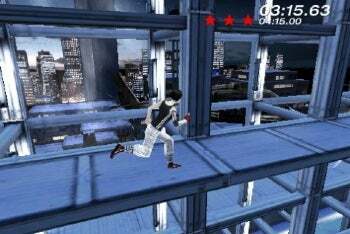 If you guessed EA's late 2008 dystopian action-parkour adventure Mirror's Edge, ding-ding-ding, take a bow. It seems EA plans to charge a whopping $15 via Apple's App Store for the iPhone version of the game (a side-scroller, unlike the first-person original) with a few extra multiplayer maps. Let's run that again in EA-speak: "All-new multiplayer features made just for the iPad." Here's what I can't figure out. Was it supposed to be $10 originally? Was it always planned at $15? Will it still be available for the iPhone and iPod Touch? Or is it now iPad-exclusive? It's not the first EA game to raise the traditional $10 App Store maximum price ceiling by 50 percent. Command & Conquer: Red Alert--also an iPhone app--will carry a $15 price tag as well. Yes, that's still less expensive than the PC version, which currently retails (discounted) for $20, or the console versions that originally sold for $60 a pop. But it's still an effort to raise established an price range commensurate with the iPad's marketing position as a device that sits somewhere between a mobile phone and a laptop. Is $15 too much for an iPad game? Cheap apps, utilities, and games arguably made the App Store what it is today, a distribution platform with some 150,000 third party apps and over 3 billion downloads. Raising the price risks stymieing that growth, though it's also arguably a toe in the water to see where the ceiling really is.